VATICAN CITY (CNS) — When life gets difficult, trust in God and don’t worry unnecessarily about tomorrow, Pope Francis said. “Trusting in him doesn’t magically solve problems, but it allows for facing them with the right spirit — courageously,” he said before praying the Angelus with those gathered in St. Peter’s Square Feb. 26. 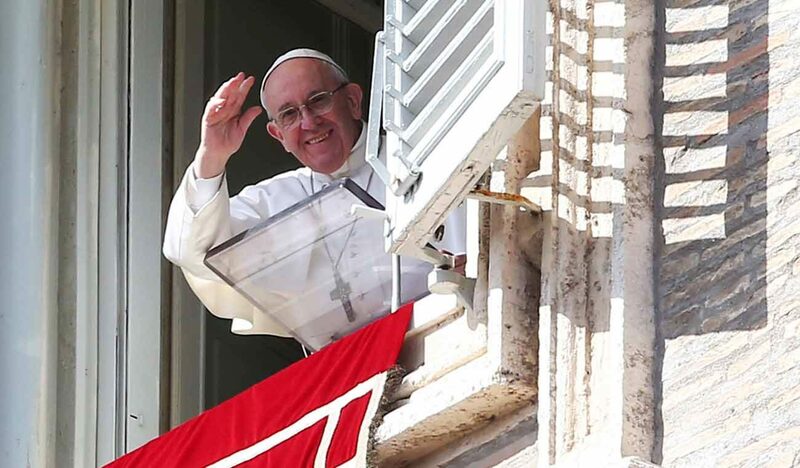 The pope’s reflection looked at the day’s Gospel reading (Mt 6:24-34) in which Jesus tells his disciples to “not worry about your life,” what to wear and what to eat. Instead, look at how God provides for the wild flowers and animals, and learn from them that worrying will not “add a single moment to your life-span,” the passage reads. God “is our shelter, the source of our serenity and our peace. He is the rock of our salvation,” he said. “Whoever holds onto God never falls. He is our defense against evil that always lies in ambush,” the pope added. Many people do not realize or they deny that God is a “great friend, ally, father,” making this a world of “orphans” who would rather seek security in or show “an excessive love” for earthly goods and wealth, he said. Jesus said people must make a clear choice — either God or tantalizing idols — all the time “because the temptations to boil everything down to money, pleasure and power are persistent,” he said. While worldly pursuits bring “tangible results, even if fleeting,” choosing God and his kingdom do not always reap immediate fruits, he said. That is why one must leave it to God to carry his plan to fulfillment, he said. People are to utilize carefully the goods on this earth “but without going overboard as if everything, even our salvation, were to depend just on us,” the pope added.